The decision to delete almost 70 pages from the textbook, titled India and the Contemporary World - I, is part of the curriculum rationalisation exercise initiated at HRD Minister Prakash Javadekar’s behest to reduce the burden on students. “In May 1822, women of the Shanar caste were attacked by Nairs in public places in the southern princely state of Travancore, for wearing a cloth across their upper bodies. Over subsequent decades, a violent conflict over dress codes ensued,” the chapter states. The National Council of Educational Research and Training (NCERT) has dropped three chapters from its Class 9 history textbook, including one that illustrates caste conflict through the struggles of the so-called ‘lower caste’ Nadar women of Travancore, who were forced to keep their upper bodies uncovered. The decision to delete almost 70 pages from the textbook, titled India and the Contemporary World – I, is part of the curriculum rationalisation exercise initiated at HRD Minister Prakash Javadekar’s behest to reduce the burden on students. This is the second textbook review undertaken under the incumbent government. The revised textbooks will hit the shelves this month, before the new academic session begins. In 2017, NCERT made 1,334 changes, which included additions, correction and data update in 182 textbooks. Of the three chapters deleted, one (Clothing: A Social History) is on clothing and how social movements influenced how we dressed. The second chapter (History and Sport: The Story of Cricket) is on the history of cricket in India and its connection to the politics of caste, region and community. The third chapter (Peasants and Farmers) focuses on the growth of capitalism and how colonialism altered the lives of peasants and farmers. ‘Clothing: A Social History’ is the last chapter of the textbook. It shows how changes in clothing in England and India were shaped by their social movements. The section ‘Caste Conflict and Dress Change’, which is on the strict social codes regarding food and dress in India in the past, made headlines in 2016 when politicians objected to references to the “Upper Cloth Revolt” in southern India. The Shanars, later known as Nadars, were considered a “subordinate caste”. Its men and women were expected to follow the local custom of not using umbrellas, not wearing shoes and gold ornaments and not covering their upper bodies before the dominant castes. However, under the influence of Christian missionaries, Shanar women converts started wearing tailored blouses. In 2016, the CBSE issued a circular to all its affiliated schools informing them that the section ‘Caste Conflict and Dress Change’ “stands omitted from the curriculum and no questions from this section should be asked in 2017”. 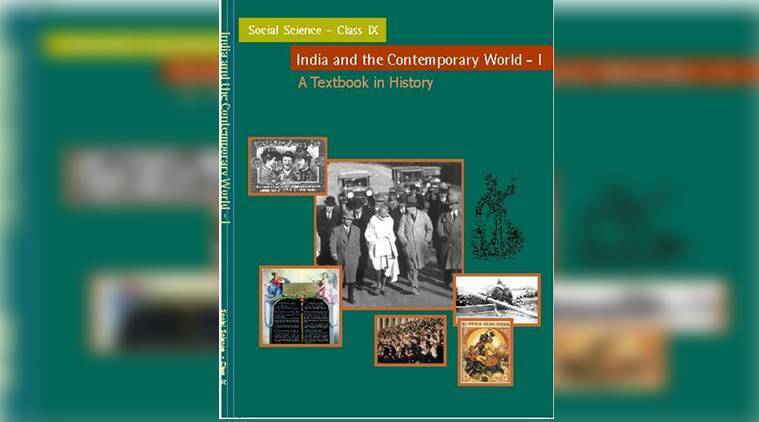 However, this section remained part of the textbook – until NCERT’s curriculum rationalisation exercise in which the complete chapter was dropped. This chapter also focused on the importance of the swadeshi movement and how it influenced the politics of clothing and Mahatma Gandhi’s experiments with clothing to show the changing attitude to dress in India. The chapter ‘Peasants and Farmers’ focused on three countries – small cottagers in England, wheat farmers of USA and opium producers of Bengal. In it, students read about what happened to different rural communities with the coming of modern agriculture and what happens when different regions of the world are integrated with the capitalist world market. In this context, the chapter looks specifically at how, under colonial rule, India started producing a range of crops for the world market. When contacted for comment, Gauri Srivastav, head of Department of Education in Social Sciences at NCERT, suggested that questions be directed to NCERT director Hrushikesh Senapaty. Senapaty did not respond to calls and SMSes left by The Indian Express. Although Javadekar’s recommendation to NCERT was to cut curriculum by half across all subjects, NCERT, sources said, reduced content in social science textbooks by almost 20 per cent, but kept cuts to a minimum in mathematics and sciences. The changes, they said, had been made based on over one lakh comments received from parents, students and teachers. As part of the above exercise, NCERT introduced a poem by former Prime Minister Atal Bihari Vajpayee in its Class 8 Hindi textbook after it was advised by the government to explore ways of “immortalising his contributions and achievements”.